This house was featured at the European Solar Decathlon in Madrid. It is a design competition for the world's best solar powered homes. 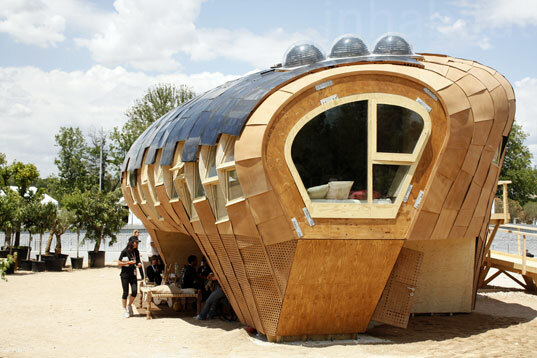 This unique design was created by the Institute for Advanced Architecture of Catalonia. 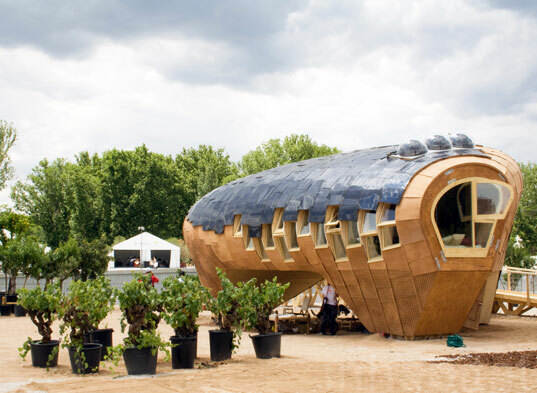 The house is made from prefabricated wood panels and a photovoltaic skin. There is an area underneath the structure that provides for an outdoor shaded patio. 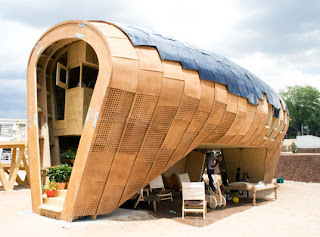 I like how the FabLab house utilizes the space underneath as an outdoor living room. The house features smart energy and temperature-monitoring systems, a garden, and a rainwater collection system on its roof. The FabLab house is one of many featured in the competition and it would be worth checking out the other competitors.